Because you value the security of your home and loved ones, let United Security Systems, Inc. provide you with the absolute best protection and ongoing support in the security industry today. We provide a full range of hardwired and wireless solutions to protect your family from intruders. Smoke detectors are monitored 24 hours a day to provide ultimate protection of your life and property. Let United Security Systems protect your family from this odorless and silent killer. Dispatch police to your home with the push of a button. If your phone line fails, our system won’t. Add this additional layer of protection at a reasonable cost. Medical pendants and panic buttons help people to live independently and offer protection 24 hours a day. Record and review childcare, childrens behavior, and guard against break-ins. Don’t open your door without visual and audio confirmation. United Security Systems, Inc. commitment to you begins when a security consultant performs an in depth analysis of your security needs. Once we determine these critical aspects of the security system design, we will work with you to provide an affordable state of the art home security, fire and life safety system. Then, our staff of highly trained installers and service technicians will work together to provide you with the best most reliable security system. Our state of the art central station has been inspected and approved by Underwriters Laboratory Inc. for reliability and proficiency. Our highly skilled central station personnel go through ongoing training and are available 24 hours a day, 365 days a year to respond to events at your home. When you need the most comprehensive monitoring available, including intrusion, audio/2 way voice, fire/smoke detection, carbon monoxide, and emergency notification, there is only one choice. The United choice! 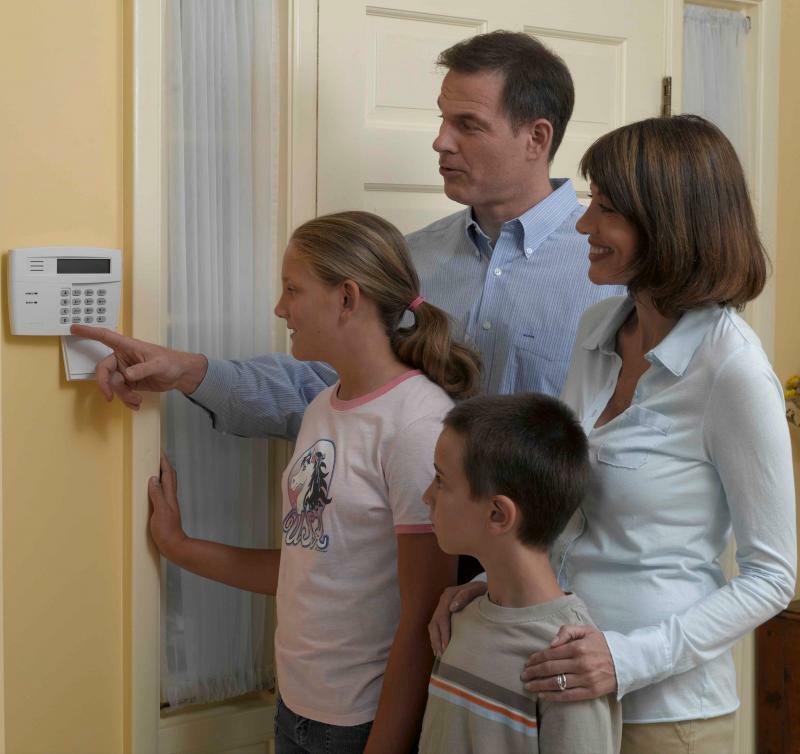 When considering a home security system there are two types of protection to consider. Do you need protection when you are in the home as well as away from the home? If you will use the system when you are home and the protection of a life is most important, then a full perimeter system is recommended and most effective. This means all perimeter points (doors and operable windows) are covered with contacts. Additionally, space protection is highly recommended. Motion detectors are added for back up protection. This makes the system most effective since you can arm the system in the "STAY" mode while you're home and have the perimeter (doors, windows) armed. You would be able to move about freely inside the home while the system is protecting in the "AWAY" mode. Subsequently, all the doors and windows along with the interior devices (motions, glass breaks) will be armed. If you plan to use the system primarily when you are "AWAY" from the home (work, vacations, second home), then the basic system is adequate and will cover the main exterior doors or any other points of entry that is of concern. You may then add interior space protection (motions detectors) in main traffic areas of the home. This will provide adequate coverage and save on installation cost. Contact us today and get a free quote. Copyright 1995 United Security Systems, Inc.. All rights reserved.